WordPress caching plugins are free, right? That tends to be true – plugins that don’t even cost a dime dominate that market. But WP Rocket turns away from that trend: it’s a premium caching plugin. Before going for a global launch, the team put it out in the French market. Having launched just a year ago, it already boasts use on over 4,000 websites globally. We spoke to WP Rocket’s marketer, Jean-Baptiste Marchand-Arvier, about the challenges that their team faces in promoting a premium plugin. In this post, I’ll look at WP Rocket’s strategy. Getting people to pay for a plugin is obviously harder than convincing them to download one for free. Premium plugins bear a cost barrier, while free plugins can get better visibility through the WordPress.org Plugin Directory. These issues with promoting a premium plugin are heightened in the caching market. Strong, competitive solutions like W3 Total Cache and WP Super Cache already exist, and they’re used by millions of people. That’s a harsh landscape for a new premium plugin to roll out into. “With our premium model we knew that we had to work harder to promote our plugin,” Jean-Baptiste said. The WP Rocket team first set up a launch page. The simple landing page contained a brief overview of the upcoming plugin alongside an email sign-up slot. Visitors were also told that some of those who signed up would get a chance to participate in a beta test of the plugin. After a few weeks, the team had amassed about 200 email addresses and were ready to begin beta testing. They selected about 30 people to take part – while a few were picked randomly, most of the chosen individuals blogged about WordPress. Testing and debugging took about a month, and then the team was ready to start selling and promoting WP Rocket. Their strategy had already given them a good place to start with promotion: Jean-Baptiste said that most of the beta testers “felt honored and really happy with [the] plugin,” and once the beta test was complete, many of them blogged about WP Rocket. WP Rocket is developed by Jonathan Buttigieg and Julio Potier, who are no strangers to giving back to the WordPress community. Besides running popular French-language WordPress blogs, both men have created a number of plugins available for free. All three team members speak frequently at French WordCamps. This heavy community involvement was critical to the plugin’s early success in the French market: people knew and trusted the WP Rocket team, so they were more than willing to give the plugin a try. But involvement in the French-speaking WordPress world was no free ticket to success in the international market. The men are not well-known in the global WordPress community, so they have to work a bit harder to establish credibility. Their first move to get attention was releasing a free, standalone version of their Lazy Load plugin. They’ve managed to get a rating of 4.1 out of 5 stars with a little over 2,500 downloads. That’s less a wave than a ripple, but it’s a good first move, and the team has more plans in the pipeline. They intend to soon release a tool that they have developed to rapidly and automatically install and configure WordPress. Community involvement serves as a great launchpad for WP Rocket, but to fully fuel their journey, they’ve selected one main strategy: getting their product on WordPress blogs (it has worked here at least – you’re reading about them right now!). In most cases, the WP Rocket team offers a free license so that bloggers can test the plugin. Jean-Baptiste said that people are generally enthusiastic to test and review it. But money talks, and many people will only talk for money: Jean-Baptiste is frequently asked to pay for reviews. He says no. Why? It’s the same reason that WP Rocket has no affiliate program – they want people to be objective when reviewing the plugin. Even-handed reviews are important to the team because it ensures that customers will buy the plugin for good reasons. Attract views from social networks. Get feedback about the plugin. Blog posting forms the core of their strategy, and they’re banking hard on it, because they’ve rejected one of the most common online marketing techniques: affiliate marketing. The WP Rocket team has made a conscious decision against running an affiliate program. That’s unusual, to be sure – affiliates promote your product for you in exchange for commission, leaving almost all the work on their end. Affiliate programs are a core part of many online business strategies. Jean-Baptiste conceded that affiliate programs can often be a good way to grow fast – he said that going that route would likely bring more blog posts, tweets, and sales. But he made clear that maintaining objectivity in product reviews was more important to the company. 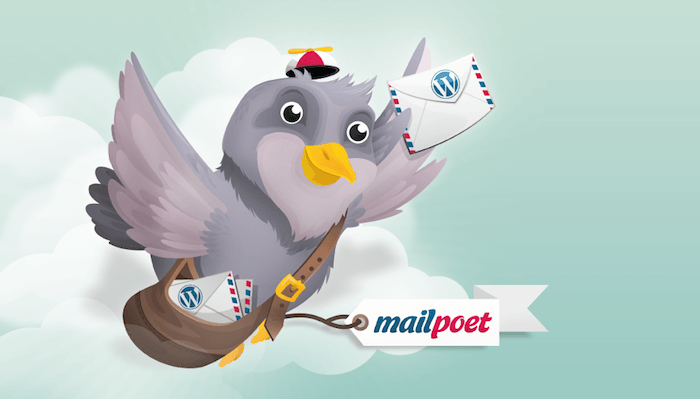 The team was inspired in part by another premium WordPress plugin, MailPoet, that has decided against affiliation. 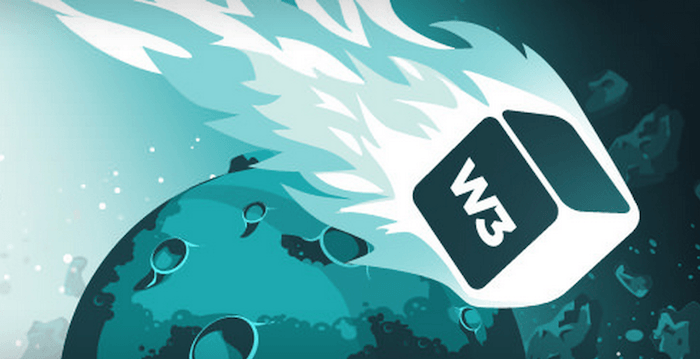 WP Rocket has sacrificed a short-term sales boost in favor of a philosophy of objectivity. That might turn out to be a good long-term strategy if it helps people see the group in a positive way – WP Rocket has bet on branding. Jean-Baptiste would be the first to admit that his position on sponsored posts and an affiliate program could certainly change in the future, but for now, he’s firmly set on the path he’s chosen. Sponsoring WordCamps: WP Rocket tries its best to sponsor WordCamps around the world. They can’t determine the profitability of such investments, but Jean-Baptiste says that making the events happen is worth it – besides, it’s great for branding. Search Engine Optimization: The team doesn’t ignore SEO, but they don’t get too crazy about it, either. Their site has some basic optimization in place to get decent traffic from various keywords, and backlinks from blog posts are another boon. They haven’t started an AdWords campaign yet, but they plan to. Content Marketing: Jean-Baptiste admitted that the company is “pretty bad” at content marketing – they have a blog but they don’t post often enough. Finding time to create content is a challenge that they hope to overcome in the future. The WP Rocket team works actively to promote their plugin, and it’s a real challenge. Premium WordPress plugins already face a difficult marketing situation, and the caching market is even more difficult. Still, the team strives every day to promote the plugin, implementing the strategies discussed above. What do you think are the best tactics for promoting premium plugins? How valuable is giving back to the community? I’d love to hear your thoughts in the comments! I’ve looked at this plugin frequently, as I’d love to use one in my arsenal that didn’t require a PHD to get it up and running. The problem, as I see it, is that I can’t try it out before I buy it. I try out more plugins every week than most people use in a year and wouldn’t keep the majority of them for various reasons. I hate to spend more money on another plugin that may not WoW me. I think they need a trial for this one. It is already said enough from other visitors with their positive experiences with WP Rocket plugin. I can only repeat what others experiences is: dead simple plugin with setup for “children” and stellar Support! As the matter of fact, Support was the reason to “give it a try” (chatted with the developer prior to buying plugin) along with option for refund in 30 days if it doesn’t work… Of course, this will not happen as this plugin really works (reduced loading time for my website in development from 5-8 sec to 0,9 to 1,5 sec!). I am a long time user of WP Super Cache – also fantastic piece of work, but without all the speed up functionalities I would like to see in it (like images lazy loading). However, WP Rocket has it all in their plugin so I could delete all other speed up plugins and keep only one – WP Rocket! The only reason I bought this plugin is the support. Period. Having an advanced plugin like W3TC is useless if you don’t know how to configure it well (server configuration, compatibility with other plugins) . In fact, it will slow your site down. Of course prior to buying wp rocket I’ve had experienced installing most of them and never had luck. It might sound pricey but if you sum up the premium support from those free plugins, you’ll end up paying about the same or even more expensive. Wp rocket’s interface is simple.. Dead simple I personally feel it’s not worth considered as ‘premium plugin’. It’s brilliant how it’s designed for someone less techy like me. The only downside I had is the limited resource (they’re in french), but Jean himself is very professional in handling report and complaints (even asking for ftp access to check the .htaccess) . In short, I’d highly recommend this plugin IF you’re not so familiar with wordpress caching and would like help from professional. It’s our next move : improving our support and documentation. I think there is a fine line in using aff programs. There are many companies who would hand pick affiliates and ask them the method they would choose to promote products. Bringing exclusivity to your aff program would on the one hand indicate your quality focussed approach, on the other hand will help you go viral. I use WP-Rocket since the launch and this ist the best caching plugin ever. First it feels a little bit slower but the analytics and stresstests show me that thia plugin work better than all the alternatives. Great work guys. A decision to not do affiliate marketing is sometimes a very, very good idea. Reason being, affiliates can get out of control and totally spammy and that actually hurts sales more than it helps. And, affiliates can be big nags by asking all sorts of questions related to referrals — e.g. very time consuming. Managing an affiliate program is the major question: Is it worth the time? Whatever time you think you might spend on it, double that and go with that number, and accept that it may become even higher. I think you’ve nailed it there Mark – especially regarding the spam issue. Personally speaking, I don’t run affiliate programs for my own products. Perhaps it’s something I’ll do in the future, but for the reasons you mention, I’m holding off for the time being! Very interesting post. I have been in touch with Jean-Baptiste recently but did not know that they declined to use an affiliate program and sponsored reviews for WP Rocket. While I can see their point of doing so speaking from my own experience those two are actually among the most effective strategies to promote a plugin. Especially one that is premium-only and thus less likely to be shared/written about for free. You are mentioned in there by the way, Tom! An affiliate program can be really effective for one product and much less for an other. WP Robots is on my mind the perfect product for an affiliate program, 99% of your potential clients are SEO which are very enthousiasts with affiliates program.